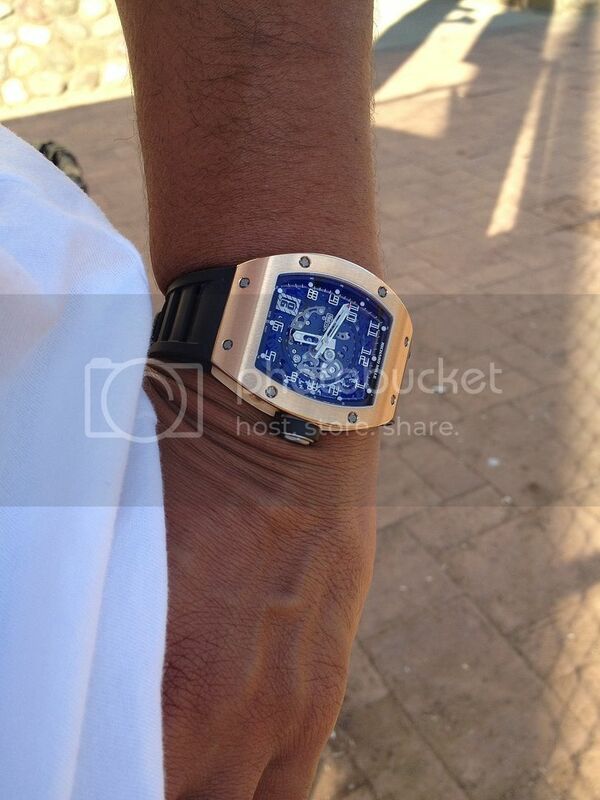 A few years back I was very interested in RM Always admired the watches from pictures but never tried one on. I was in Las Vegas and of course was visiting all the watch boutiques and came across an RM10 in Rose Gold. Thought it was absolutely stunning and bought it. Although the watch was amazing, I soon realized I wasn't a "gold" guy and didn't it wear it much Shortly thereafter it sat in the box and not much long later it was traded in. As I continued to think RM was an amazing brand unlike any other, (not many watch brands you can literally spot from across a room) I though it wasn't for me. 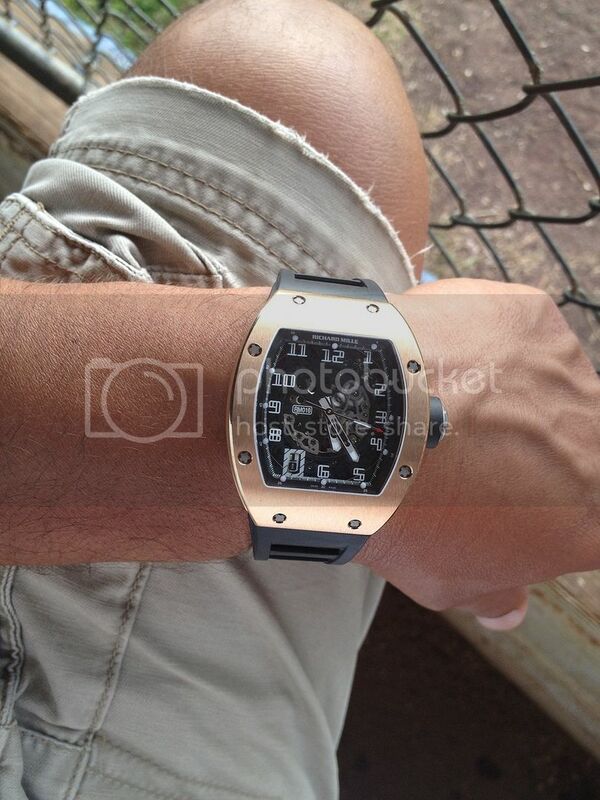 A couple years went by and I still collected many other brands, all the while admiring Richard Mille ( from a far ). 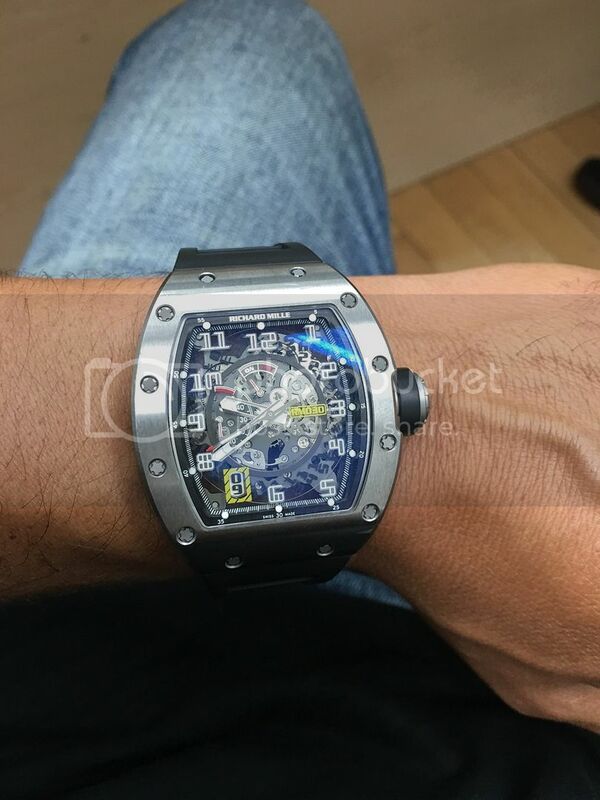 The rose gold had somehow ruined the brand for me even though no matter what watch I owned or saw someone wear "in the wild" non impressed me like Richard Mille I can remember being at a watch show in NYC surrounded by watches on guys wrists but non impressed me more then seeing an RM11 on someones wrist. Then about 5 months ago I was in my AD and the owner said to me let me show you this special piece I just got in. And BAM ! I was in awe. Put in on my wrist and didn't take it off. 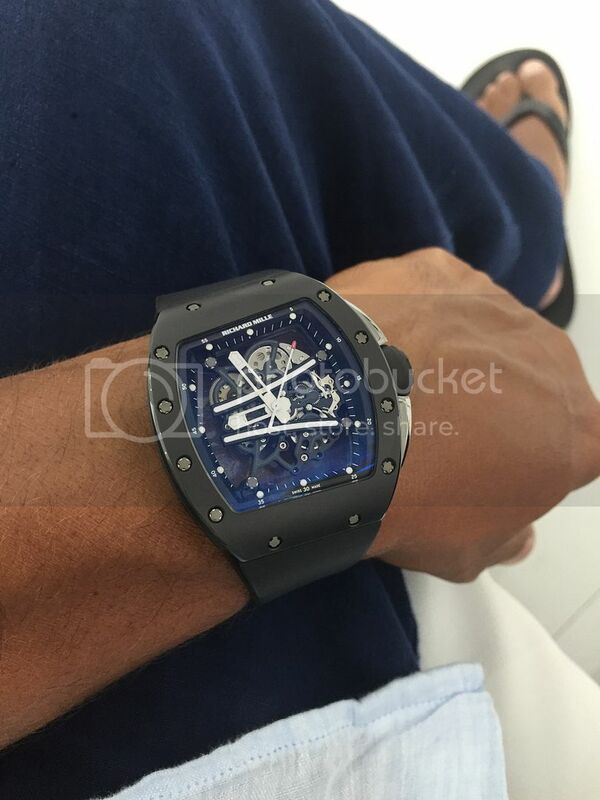 I realized that Richard Mille was in fact for me and I just didn't get the right one for me at first. I truly enjoy all things RM and look forward to his new offerings especially the new extra flat. Next Topic: It's good being friends with Mr. Moderator! !